Approximately 2300 sq. 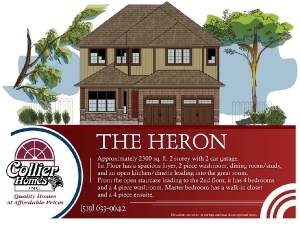 ft. 2 storey with 2 car garage. 1st Floor has a spacious foyer, 2 piece washroom, dining room/study, and an open kitchen/dinette leading into the great room. From the open staircase leading to the 2nd floor, it has 4 bedrooms and a 4 piece washroom. 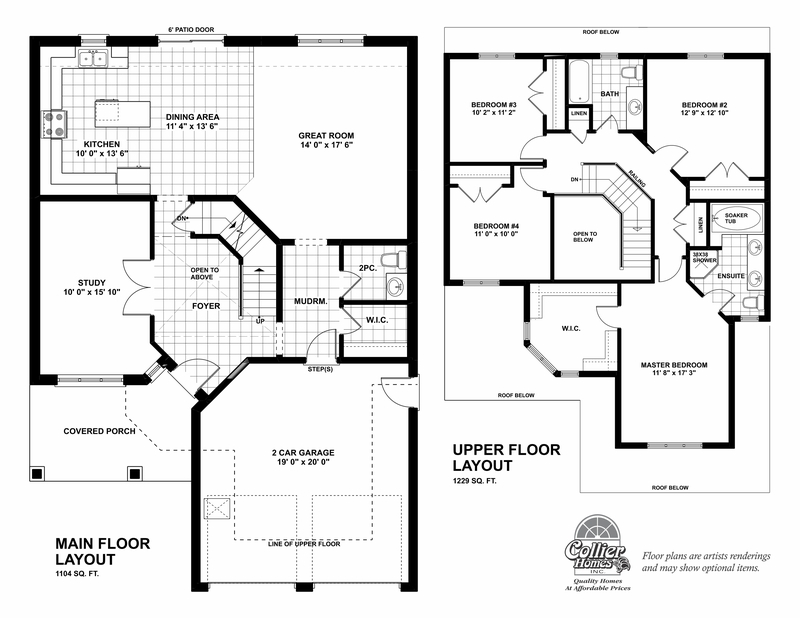 Master bedroom has a walk-in closet and a 4 piece ensuite. 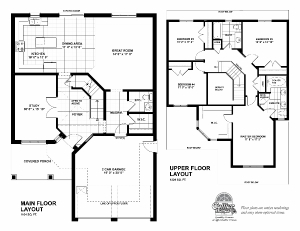 Master Bedroom: 12' x 17'-10"
Floor Plan: 35'-2" x 57'-5"